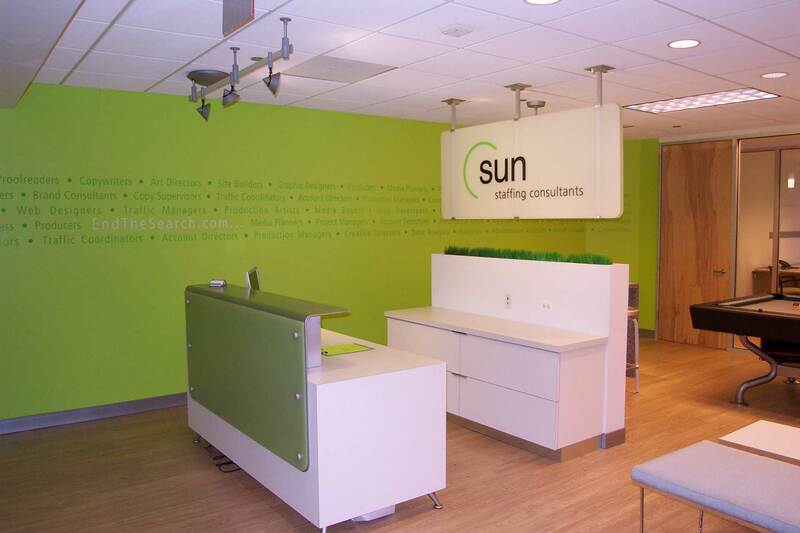 As a distinctive artist placement service, Sun Staffing wanted an office space that mirrored its funky vibe culture. The mood was to be hip and innovative on a budget. The youthful firm wished to break away from the “office as usual” and wanted an office that both clients and candidates would enjoy for its innovative approach. A youthful and active image permeated the space from high tables for laptop working to a pool table for candidates to unwind. Bright white was the dominant background color with green feature walls defining the brand. 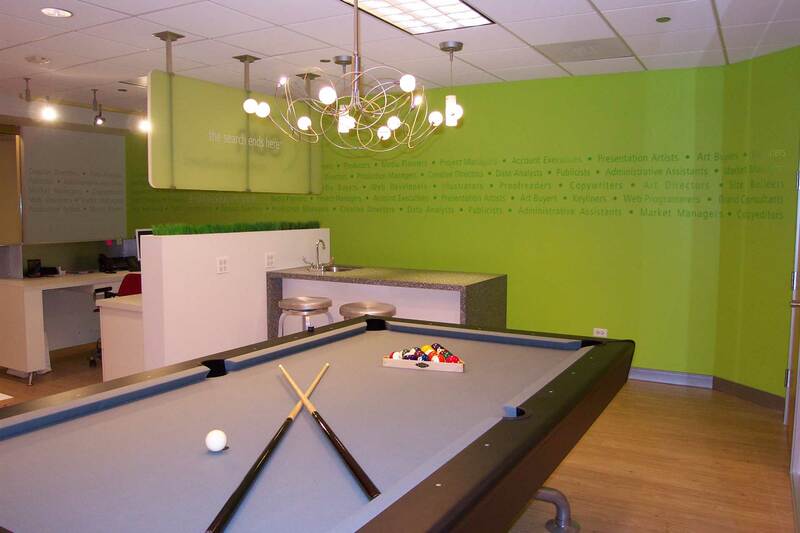 Graphics were applied to the walls to embellish the space and articulate the function of the agency.